My family and I absolutely love Disney on Ice. This years presentation of Dream Big is going to be soo fun!! All our favorite Disney princesses coming together to make a magical night. The music is incredible and always a great show! Ariel, from the Little Mermaid, has always been my favorite Disney Princess. As an adult and the release of so many new Disney Movies it is hard to decide . Tangled and Frozen are definitely on the top of my favorite list now!! Who is your favorite Disney Princess? YOur not going to want to miss this show. Read on to get more show information and to enter to win a family 4 pack of tickets!!! Believing is just the beginning when dreamers throughout Salt Lake City witness the empowering tales of Disney’s most courageous leading ladies told through artistic skating and acrobatics in Disney On Ice presents Dream Big. 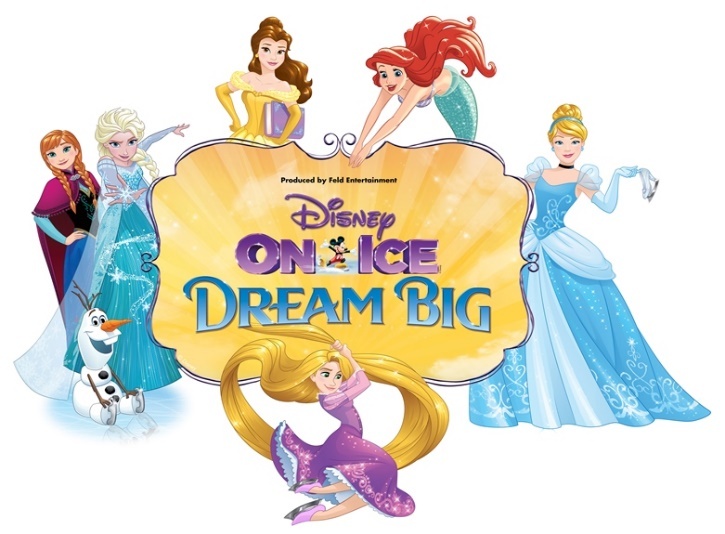 Audiences are invited to join eight Disney Princesses – Ariel, Belle, Cinderella, Rapunzel, Tiana, Jasmine, Aurora and Snow White – as they embark on incredible adventures, determined to make their dreams come true. In addition, experience the sisterly love that has captivated millions as Disney’s Frozen is brought to life on the icy stage. Want to win a pair of 4 tickets to the opening night show?